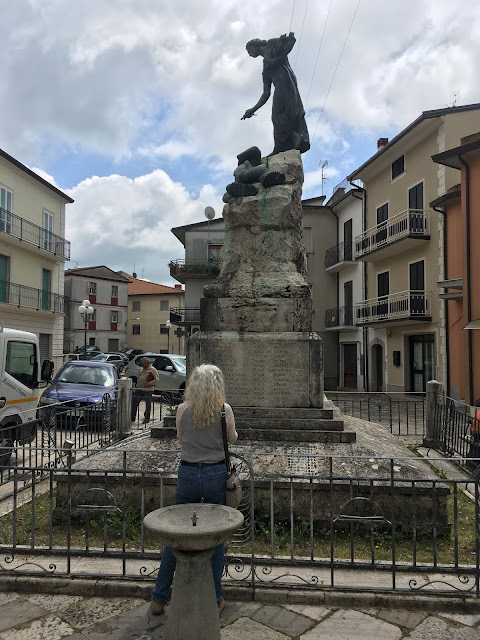 Each time I visit my ancestors' hometowns in Italy, I get a bit more adventurous. Trip #1 to Grandpa's hometown. In 2003 my husband and I went on our honeymoon. We planned a trip to quite a few of the most famous sites in Italy, from north (Lake Como) to south (Sorrento). I'd only just begun digging into my family history. While staying at a cliffside hotel in Sorrento, home of limoncello, we took a day trip to the city of Benevento. Benevento is the province where every one of my ancestors (save one) came from. We arrived in Benevento without a real plan. But we found out we could take a bus to my grandfather's hometown of Colle Sannita. So we hopped on. 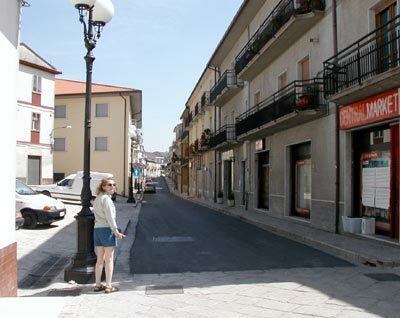 During the ride, we learned the last bus back to the Benevento train station was leaving 45 minutes after our arrival. The bus was filled with college students who were all trying to be helpful. Some suggested we stay in the beautiful hotel in Colle Sannita called Ca' del Ré. But all our stuff was in the hotel in Sorrento. So we resigned ourselves to a quick walk through town, and we headed back to the bus. We missed that bus because we got trapped in a bank that was in the midst of a power outage. I've written that improbable tale elsewhere. The bottom line is, I got only a taste of my roots. Two years later we planned a second trip to Italy. 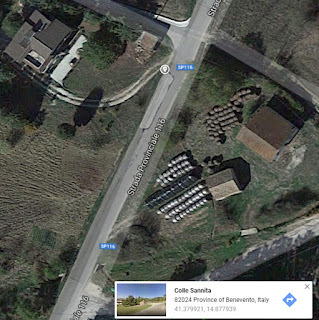 I'd made contact with a cousin in New York whose sisters still lived in Grandpa's hometown of Colle Sannita. We worked out the details so they were expecting my arrival. Trip #2 to where Grandpa actually lived. My beautiful cousins made me feel like royalty. One cousin brought me from house to house, meeting dozens of cousins along the way. She translated for me when I couldn't understand or find the words. I kept hearing her say "due anni fa", meaning "two years ago". She told everyone how I'd tried to visit the town two years ago, but didn't know where my cousins lived. The last person we visited that night was my grandfather's first cousin Libera. She wanted me to visit her daughter and two grandchildren the next day. 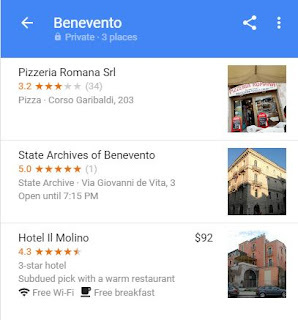 Each one owned a restaurant in the city of Benevento. We met them and spent another entire day being treated with love and generosity. That's the dream, right? To go to your ancestor's hometown, meet all the relatives, share stories and feel like you belong to the family. It was heaven. Earlier this month my husband and I took another Italian vacation. This one centered on my ancestors' hometowns in the Benevento province. We spent three nights in the very same Ca' del Ré (House of the King) hotel the students on the bus recommended in 2003. I'd learned on trip #2 that the owner is the relative of my cousin's husband. Small world. Or perhaps small town. We visited my cousins with the restaurants again and had a lovely time. We visited my cousin's home and talked about their grandparents—my great grandparents. We walked through the heart of town. The very same streets I'd looked at on Google Street View time and time again came to life beneath my feet. Now, on the third try, I've seen it. I've gotten a glimpse of my life if my grandfathers and half of my great grandparents hadn't come to America. You know what? I liked what I saw. I wouldn't have the same career, maintaining corporate websites from home with my high-speed internet connection. But I would be there among ancient Roman relics, homes that dated back hundreds of years, and a breathtaking countryside. If you can make the journey to any of your ancestors' hometowns in the "old country", be sure to slow down. Walk through the center of town and observe the people. Say hello to them. You may find they're more friendly and courteous to strangers than you're used to at home. I'm already thinking about what trip #4 might be like. My goal? To stay longer. To live there for two or three months at a time. To become a familiar face in the piazza. To honor my ancestors. Fifteen years ago my husband and I went on a dream-come-true honeymoon. There was only one place in the world I wanted to go. Italy. Sforza Castle in Milano, 2015. We'd been here before, but there was more to see. He wanted to go, too. So with help from Rick Steves' travel book, we planned a jam-packed site seeing tour. It flowed from Lake Como up north to Sorrento down south. With the cliffside Hotel Minerva in Sorrento as our base for a few days, we took a day-trip to Pompeii. Did you know you can use Google Street View to "walk" through Pompeii now? The next day we took a train to the city of Benevento. From there we would figure out how to get to the rural town of Colle Sannita. This was going to be my first time setting foot in the town where my grandfather was born. I later documented our misadventure getting stranded in a Colle Sannita bank during a power failure. Two years later we tried it again. We planned out a second tour of Italy that included Milano and the Tuscan town of Cortona. That was the setting of "Under the Tuscan Sun". 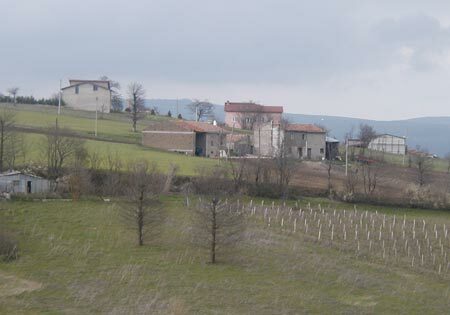 But this time I'd made contact with my dad's first cousins in Colle Sannita. My cousin Maria took me from house to house to meet cousins galore. It was everything I'd hoped for! Best pizza ever. By my cousins. Our last stop of the night was the home of Libera, my grandfather's first cousin. He left for America the year she was born. But she, and everyone I met, knew who my grandfather and my American-born father were. The next day we visited Libera's daughter and two grandchildren. Each owns a restaurant in Benevento. Her grandson and I had a long conversation about our shared ancestors, the Pilla family. I can't imagine a more enjoyable, welcoming group of relatives—many of whom had no idea their American cousin was coming to visit that day. My husband and I took trip in 2015 that included some time in northern Italy: Cinque Terre and Milano. After an unforgettable week in France, we experienced one of Italy's infamous train strikes. We left France and were stuck on an Italian train platform with tourists from around the world. It was another adventure. Some extra time and extra money, but hey. We experienced an Italian train strike. So here we are in 2018. Planning our fourth trip to my beloved ancestral Italy. This visit will begin and end in Rome, and include a second stay in one of our favorite places—Siena. But the main focus of this trip is my cousins and all four of my ancestral hometowns. I want to visit all the cemeteries again. I want to go into the churches where priests baptized and married my ancestors. I want to walk past their former homes and spend time in the piazzas. If my grandfathers and my grandmothers' parents hadn't emigrated to America, I would be an Italian. On this trip, I want to get a taste of what the Italian version of me might have been like. I'll let you know what I find out. I've been in love with the aerial view in Google Maps for years. I've created different collections of map pins, like all known addresses for my grandfather. Everywhere I visited during my 2015 trip to France and Italy. The dozen or so places I've lived. Now I'm creating an itinerary map for my next visit to my ancestors' hometowns in Italy. And I'll have it with me on my iPhone. First, you need a free Google account. Sign into that account and go to www.google.com/maps on your computer. You can look up virtually any address, town or place of business in the world and click to stick a pin in it. 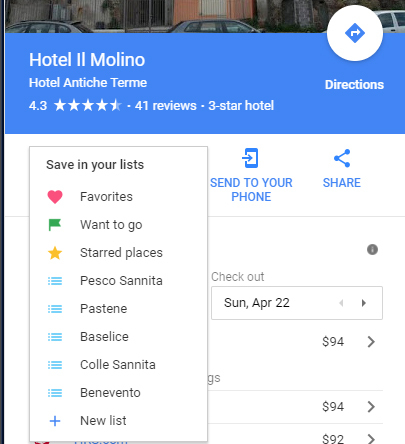 Click any spot or place-name to save it. I have a reservation at Hotel Antiche Terme in the city of Benevento. I found it on the map and clicked it. (Apparently it has two names, which may be good to know when I get there.) Then I can click SAVE to keep this location. Choose what you want to do with this place. Now I have a few options. 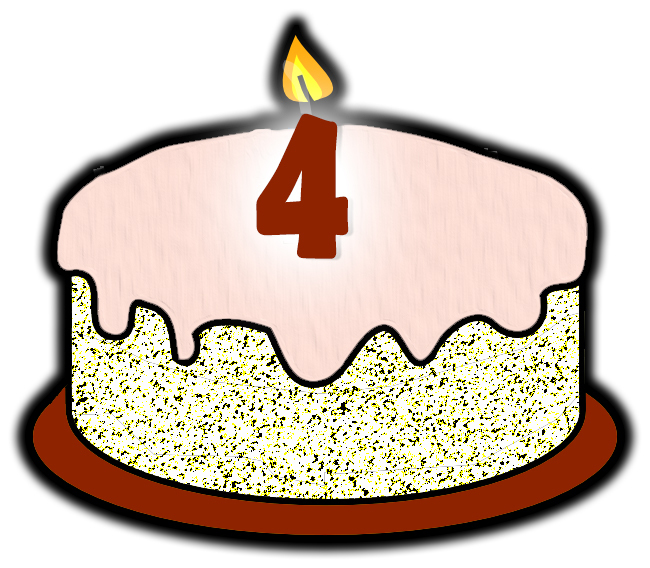 I can simply make the location a favorite, put a flag or a star on it, or save it to a list. I've created a different list for each of my ancestral hometowns. Here's my list so far for Benevento. 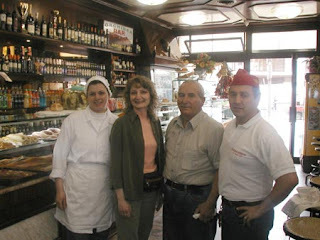 It includes my cousin Vincenzo's wonderful pizzeria where I met him in 2005. 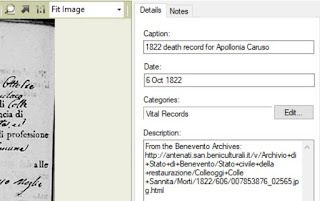 It includes the State Archives of Benevento—the absolute godsend that has given me all the records from all my towns. I plan to go there to find my grandfather's military records. And it includes the hotel where I'll be staying. In my ancestors' towns I've saved the locations of the cemeteries, the piazzas, the churches, and the homes of the cousins I'll visit. I'm going to buy an international plan for my iPhone while I'm in Italy (not expensive at all). With that plan, I'll be able to open the Google Maps app on my phone and access my saved locations. One of my personal lists of places to go. 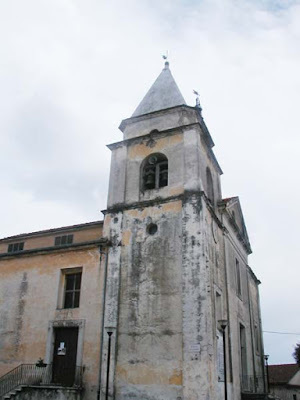 In my paternal grandfather's hometown of Colle Sannita, I need to see the church of St. George the Martyr (la Chiesa di San Giorgio Martire). So that's on my map. A couple of streets away are two addresses where my ancestors lived (I suspect one is a pile of rubble now). I plan to use the app to guide me as I walk from the church to these locations. I can snap photos of these places and upload them to my personalized map later. My personal collections of map pins will be accessible to me wherever I go. 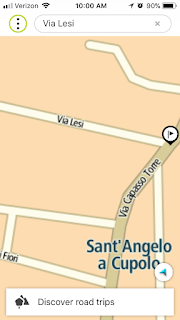 My husband bought a map of Italy for our GPS device because we'll be renting a car for a few days. He asked me to mark some of my destinations in the GPS as favorites. "Put your cousin Maria's house in there," he said. "She's so far in the middle of nowhere, I don't have a real address for her," I replied. But you can add a precise location to your GPS using longitude and latitude coordinates, so that's what I did. Here's how. I've studied the aerial and street view of my grandfather's town so many times I can find my cousin Maria's house by sight. I visited her there 13 years ago, and I still remember her describing her horrible garage as a landmark. Yes, the house is far from town, but I found it. 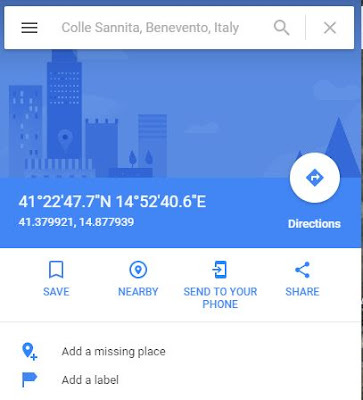 If I click to put a pin in it, Google Maps gives me some information about that location. see those coordinates nice and big so I can punch them into my GPS. Now I can easily find two of my cousins' homes and not worry about getting lost where there are barely any road markers. Longitude and latitude coordinates tell your GPS exactly where to go. 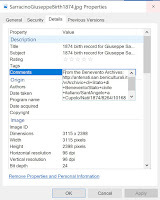 Whether you're planning a real trip, want to share your collections with your family, or want to "walk" your ancestors' streets in Google Street View, these map collections are a must-have for any genealogist. in Sant'Angelo a Cupolo, Italy. The first time I visited my grandfather's hometown in Italy, I got stranded there. My husband and I went there without a plan. We boarded a train to the city of Benevento. Then we asked for help in getting to my ancestral hometown of Colle Sannita. We got on a bus to Colle with a bunch of college students. The students were so helpful. They told us what time we needed to catch the last bus back to Benevento. They gave us the name of a nice hotel in Colle in case we wanted to stay. They bid us "Arrivederci" at our stop. We wandered around town for a while, but we had only 45 minutes until the last bus of the day! On our way to the bus stop we stopped at a bank for some cash. That's where we were stranded. You can read that crazy little story on my honeymoon website. Two years later I had become an amateur genealogist, and I did a much better job of planning my trip to Italy. 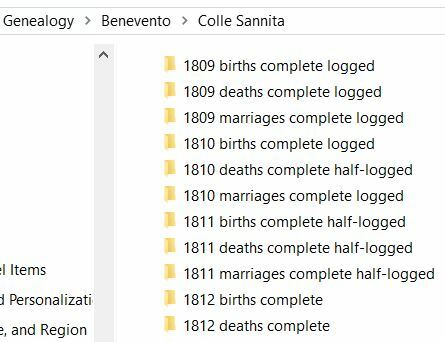 Somehow the webmaster of the Colle Sannita website gave me contact information for one of my Colle Sannita cousins in America! So when my husband and I returned to Colle, we met almost three dozen relatives. I documented that visit on my website, too. Please don't judge me for my fanny-pack. I don't know what I was thinking. Twelve years later, we're finally planning another visit to my ancestral homeland. This time I have a few more things I want to see besides the cemeteries. If you're American, Australian, or Canadian, chances are your ancestors were somewhere else a few generations or a few hundred years ago. If you're lucky enough to visit your ancestors' homeland, you can experience the feeling I had. The welling up of emotion. The feeling of a deep connection. You know where you've seen that feeling? On most episodes of "Who Do You Think You Are?" So when you go, here are some of the places and people you can plan to visit. If you've collected vital records for your ancestors, see if they show an address or a neighborhood. I didn't have these documents and addresses before. But on this trip, I want to stand outside the house where my other grandfather was born, the other house where his father died, and a bunch more. I've found a few more of my Italian relatives on Facebook. Someone recommended a Facebook group for people from my other grandfather's town of Baselice. I posted an image there of my grandfather's house and started a conversation about him. Two of my Italian cousins saw the conversation and said hello to me. It turns out I already know their brother with whom I've corresponded for several years. On this trip I hope to meet these relatives as well as visiting those I met 12 years ago. In 2005 I visited three cemeteries in Italy. We photographed every grave with a name I knew, but I didn't know who the people were. Later, with help from cousins and my research, I discovered my relationship to nearly every one of the people whose graves I'd visited. This time I would like to see three more cemeteries. 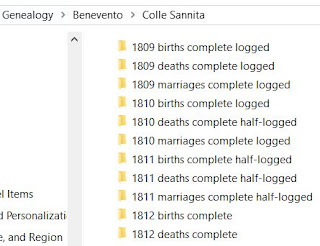 I never went to the Colle Sannita cemetery because I had so many living relatives to visit. But I'd like to see it. I've since discovered two neighboring towns where my great great grandparents had two children who died young. I don't expect to see their graves after so many years, but I do expect to see the last name of Consolazio. 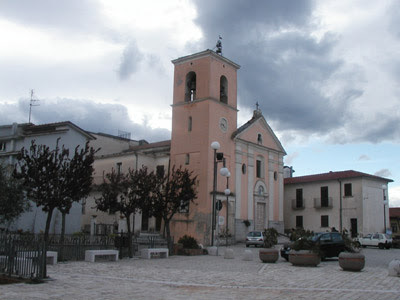 One of my biggest regrets about my two visits to Colle Sannita is how little time I spent in the town piazza. There's a statue there, dedicated to the town's fallen World War I soldiers. I took two photos of it, but I should have carefully photographed the names carved into the statue's base. I want to experience being in the piazza from each of my Italian hometowns. I want to feel what my life might have been if my ancestors hadn't come to America for a more prosperous life. So now I need to get busy. Busy making lists of the places I want to be. Plotting them on a map. Reaching out to the people I want to visit. I want to have that tears-in-the-eyes feeling you see on every subject of "Who Do You Think You Are?" from all my ancestors' hometowns in Italy. My husband thinks I'm crazy, of course. But every detail fascinates me. 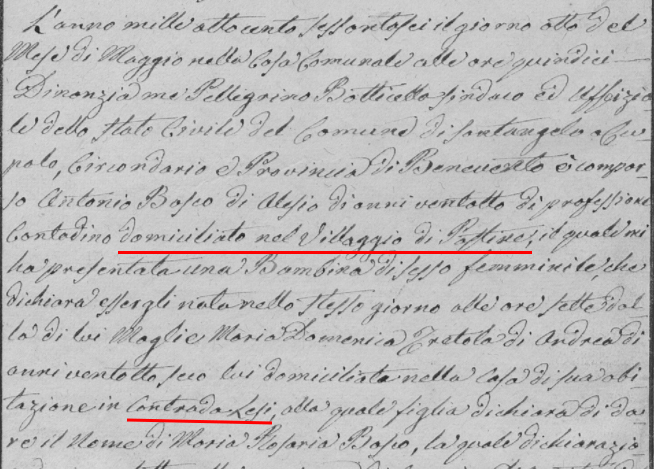 A family's address in an 1866 Italian birth record. The village is seen after the father's name. The street is seen after the mother's name. When I discover a new relative, I can search the spreadsheet to see if I've already got his siblings or his parents. If I do, I can piece together more about this family. Neighborhood names are seen in larger text. I can spot some patterns, too. I've noticed that many of my closer ancestors will have the same address. In 19th century rural Italy, these are not street addresses and house numbers like we know today. They are sections, neighborhoods, clusters of houses. You can imagine that in more modern times, mail delivery made it necessary to have house numbers. But when my ancestors lived there, family members built their homes next to one another. As time went by, children grew up and married, and they built more houses near their relatives. These neighborhoods may have changed names over the years. Some of the rural sections may not be quite as rural as they were. Tempi cambi—times change. If you are taking note of the place where your ancestor lived, you may not be able to find it on a map today. But it's still helpful to compare the addresses of different family members. Let's say one family lived in Neighborhood A, and another in Neighboorhood B. 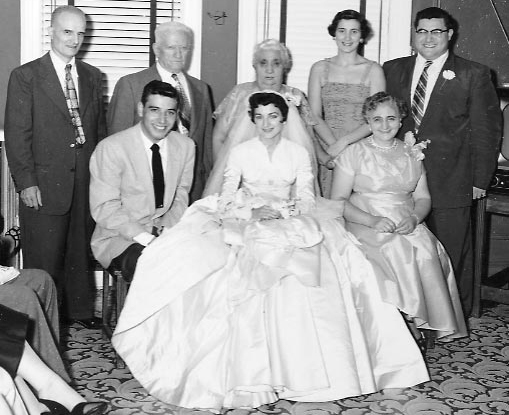 If the families intermarried, where did they live? Here's a very helpful website that explains the different Italian street types. I found out many of my ancestors' addresses were like township or hamlet names in America. In fact, my mom's ancestors come from a township called Pastene. That's the name of the place my grandmother and great aunt often said their parents came from. 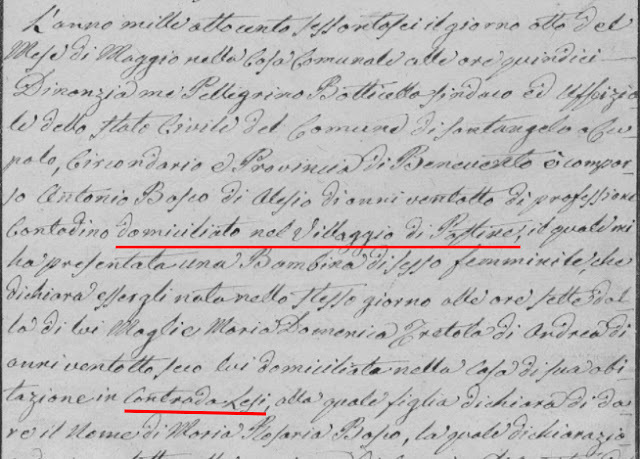 But when their parents and grandparents came to America, they said they were from Sant'Angelo a Cupolo. 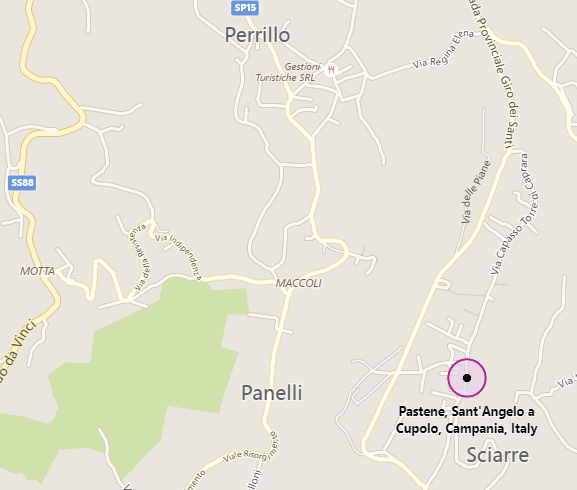 It turns out that Pastene is a township of Sant'Angelo a Cupolo. So, how can you figure out where on the map your ancestors lived? On Google Maps or Bing Maps, you may not get a lot of detail for your European ancestral hometown. You can zoom all the way in, and you can see how it looks when you're driving down the street. But you can't see the names of the tiniest outlying streets. So look for the neighborhood names—those clusters where extended families used to live. When I look at the map of Pastene, the bigger names surrounding it are villages. I recognize these names from my 19th century documents. Perrillo, Panelli, Montorsi, Maccoli, Motta. Having a map of the town open while you try to read the place name on an 1850 birth certificate can come in handy. You may not be able to pinpoint your ancestor's home, but finding their neighborhood is something to celebrate. Here's a tip for anyone who uses a GPS and has access to international maps. You can see more street names with your GPS than on Bing or Google. My GPS is a TomTom, and I have their app on my smartphone. 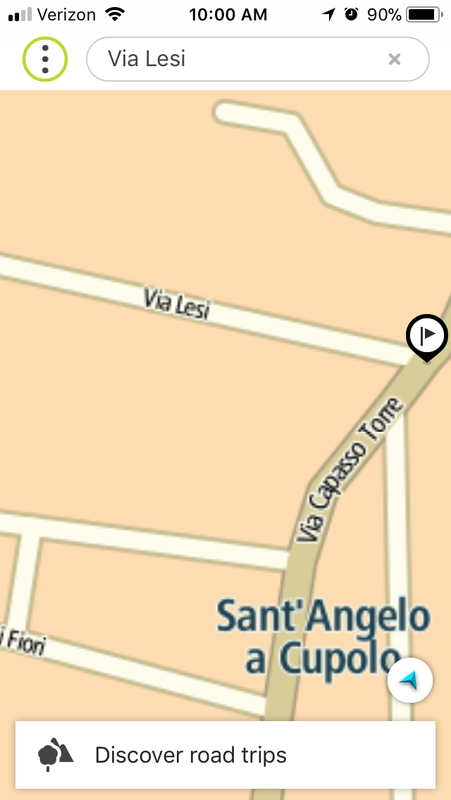 When I search for Pastene in the app, I can zoom in and see more street names. Its search function is very smart, and can help you find the area you want. If you can find an online phone directory for the country you want, you may be able to search for an address. 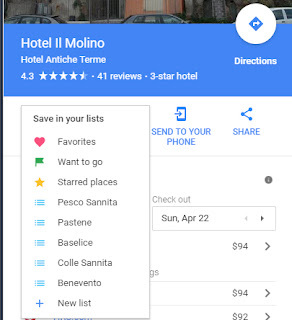 For example, on the Italian White Pages site, I can choose to search by address. The form asks me to provide a locality (town), address and number. 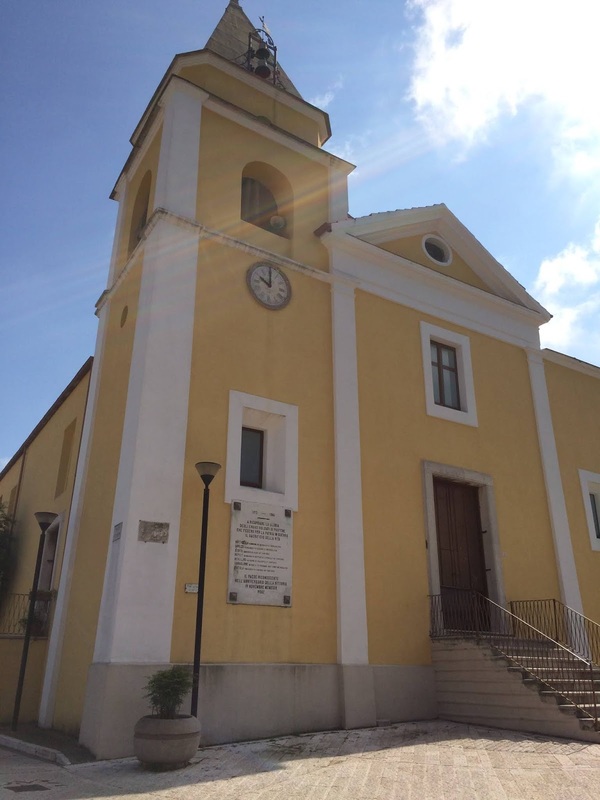 I entered an address from an 1866 birth record: Sant'Angelo a Cupolo, Contrada Lesi. As I typed, the website gave me the closest match: Via Lesi. And OMG, of the four families living on that street, one has the same last name as my grandmother: Sarracino! An online phone directory finds the new street name. Putting pins on a map, even if they mark a neighborhood and not a house, can help you understand where your roots lie. The history of Italy is one of conquest, invasions, and turmoil. If you identify as all-Italian (although you were born somewhere else) expect to find a smorgasbord of ethnicities in your DNA. For more history, see Understanding Italy. By the late 1700s, Italy the Visigoths, Attila the Hun, the Lombards, and many more had attacked Italy. The pope was getting a little tired of the commotion. He convinced the Frankish King Pepin to kick out the invaders. 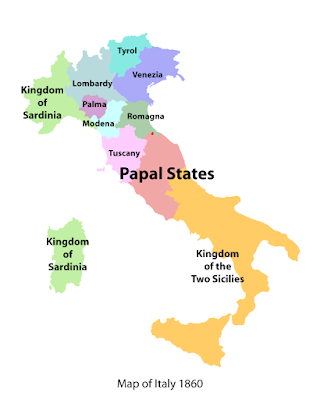 Pepin then donated all of Italy to the pope and his successors. Months ago I published an article titled What's Napoleon Got To Do With Italy? 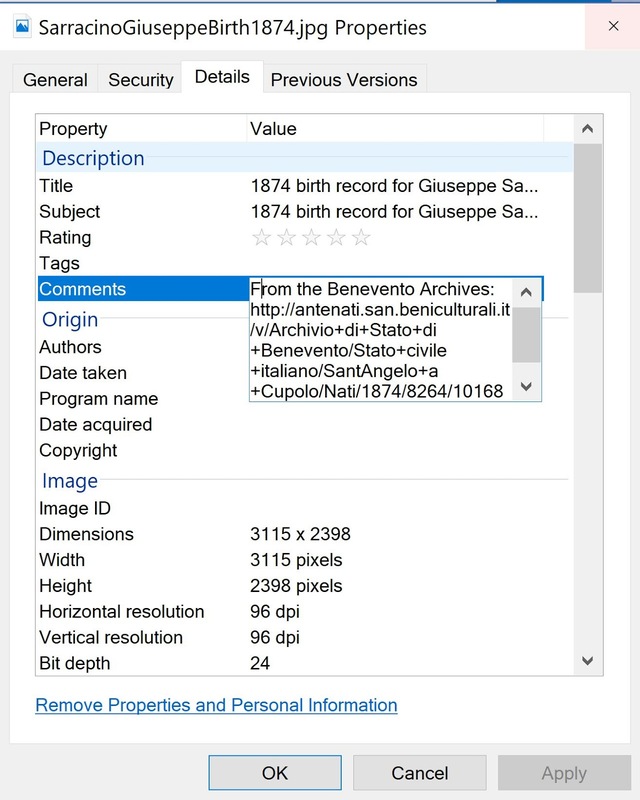 to explain how each Italian town collected vital records in the 1800s. In 1796, Napoleon was on a tear, conquering as much of the world as possible. He defeated his enemies, kicking Austrian and Spanish rulers off the Italian peninsula. By 1809, Napoleon controlled all of Italy. That's why we're so lucky to have birth, marriage, and death records available to us starting in 1809. Napoleon ordered the creation of these vital records. Even better, they defeated Napoleon in 1813, but the record-keeping continued. After his defeat, our ancestors were back in a state of turmoil. They lost the northern parts of Italy Austria. The southern parts were Papal States once again. But no one was happy. 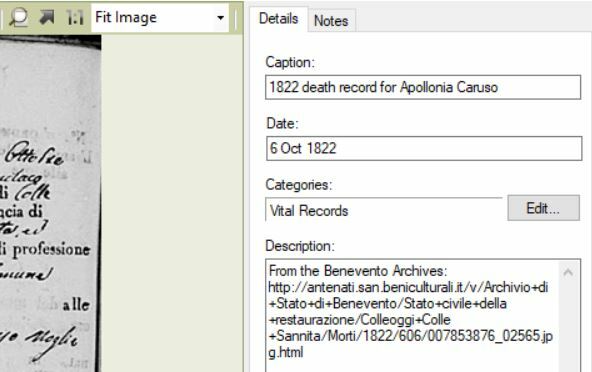 Do you have any ancestors who were born in Italy around May 1860? That's when all hell broke lose. 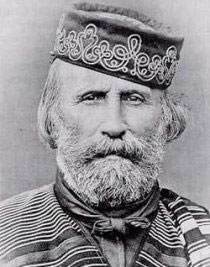 During an uprising, Giuseppe Garibaldi kicked out foreign forces and took back Italy. Now Garibaldi has streets and piazzas named for him throughout the land. The kingdoms and duchies of Italy began their unification process. Lucky for us, because now we get to visit "Italy" instead of the Kingdom of Sicily or the Republic of Venice. 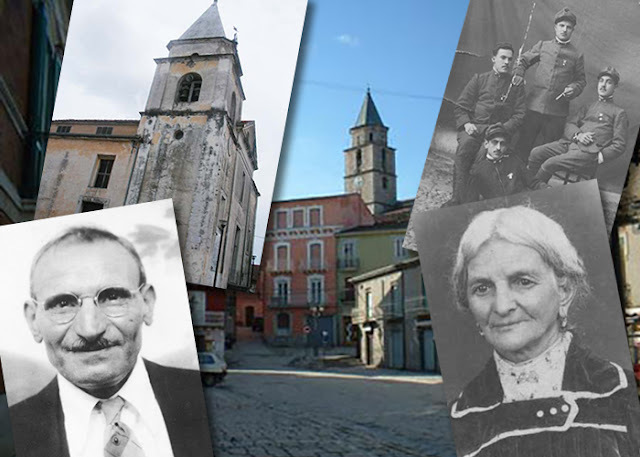 If you have visited the site and did not find your ancestral hometown, check the News page regularly. You'll be the first to know when new records are added. Have you had the pleasure of visiting the country your ancestors came from? Those of us who have gone to the old country felt moved, enchanted, and somehow at home. We found ourselves thinking, "How could they have left this beautiful place?" But, as Michael Corleone said to his mother in "The Godfather Part II", tempi cambi. Times are changing. The quaint town you visited in recent times may be very different than it was when your ancestor lived there. It may look like a slice of heaven to you, but your ancestor's hometown gave them reason to emigrate. My direct ancestors all came from Italy, but Italy was not united as a kingdom until 1861. My great great grandmother Marianna Iammucci was born in 1854. That means she wasn't born in the Italy we know today. She was born in the Kingdom of the Two Sicilies. 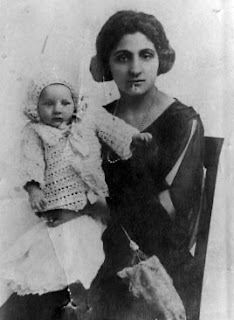 Marianna's son Adamo Leone fought for Italy in World War I. He came to America and returned to fight for his young country. As a result of that war, Italy became bigger, adding territories in the northeast. After Italy's unification, there were big differences between northern and southern Italy. My grandfathers and great grandfathers faced poverty and a lack of opportunity. Each of them came to America to find work. 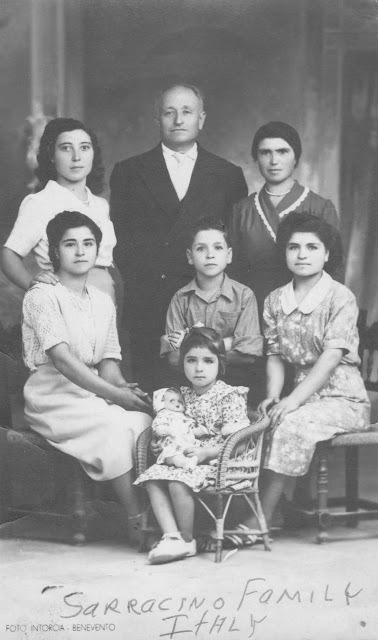 One of my great grandfathers, Francesco Iamarino, came to America at least four times. He stayed and worked for a while. Then he returned home to his wife and children. His only son, my grandfather Pietro Iamarino, came to America at age 18. Pietro didn't visit his hometown until the 1950s when he was a widow in his fifties. He would have missed his father, who'd passed away by that time. But I can't begin to imagine how happy his mother must have been to see him one more time. When you're researching your ancestors who left home to find a better life, pay attention to history. What was going on in their hometown when they chose to leave? Here are two resources published by EmperorTigerstar that show how national borders and ruling powers changed during World War I and World War II. (See EmperorTigerstar's YouTube channel for tons of history.) They're a good illustration of how time changes everything. My son is getting interested in his family history! All these years, I'm sure he saw my hobby as "mommy being crazy for dead people". I sparked his interest when I said he was one-eighth Polish. That gave him something in common with his Polish girlfriend. Now he's pushing me to find out all I can about his father's mother's father's family tree. The tough part about the Stefaniak family is they came to America so early, their ship manifest doesn't include a town name. I haven't found naturalization papers, so I'm working with less than perfect sources. A 1900 and 1905 census saying they're from "Poland (Ger)"
A 1910 census saying they're from "Ger/Polish"
Rough overlay of Prussia (purple) on today's map, highlighting West Prussia in red. I'm sure my son will push me to find more genealogical documentation. In the meantime, I have to ask: What's the deal with Prussia? What area was called Prussia in 1890. How exactly did the German/Polish border shift between 1890 and 1940? The people known as Prussi lived around the Vistula River that cuts down the center of today's Poland. The Germanic people kept trying to convert the Prussi to Christianity as early as the 10th century. Centuries later, there were ongoing tensions between Germany and Poland. West Prussia had become part of Poland. East Prussia became independent of Poland. In the 1700s the Kingdom of Prussia became an enormous power in Europe under King Frederick and his heirs. In 1890 when the Stefaniak family came to America, Prussia was a kingdom within Germany under the imperial chancellor Otto von Bismarck. 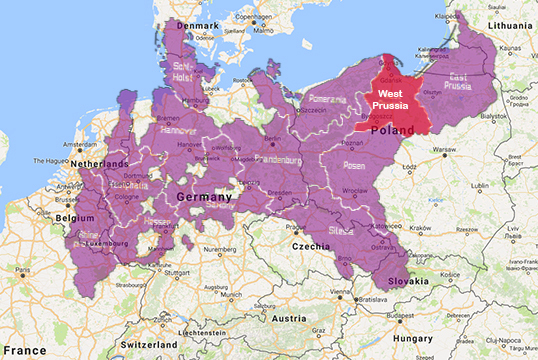 Prussia consisted of a big chunk of the northern parts of today's Germany and Poland. On a map of Prussia in 1890 I can see that West Prussia—as the 1920 census noted their birthplace—includes the area around today's Gdansk, Poland. After World War I—after the draft registration card said Mr. Stefaniak was from the state of Poland in the nation of Germany—West Prussia was lost to Poland. Prussia ceased to exist in 1947. This world history solves a family mystery over whether this branch of the family was actually German or Polish. Ethnically, they were Polish. They came from the area that is today's Poland. Their only association with Germany is that their kindgdom was part of the nation of Germany at various times. Now my son can confidently tell his Polish girlfriend that he is one-eighth Polish. When you come from a place that no longer exists, it feels good to finally be able to put a pin in that map and call it your ancestral homeland. How can you apply this type of history lesson to your own family tree? What if There's No There There?